The things you don’t expect: life out of uniform is not as easy as you might think! This morning I literally ran into a friend of mine as I was out pounding the pavement on my daily jog. He was returning from his morning run and I was just heading out on mine, so we stopped for a few minutes and catch up on things. We chatted about this and that, and before long we were comparing life in uniform to life after you hang your uniform up. In addition to the obvious differences, like being able to sleep late, grow your hair, and go for a run without wearing an obnoxiously annoying reflective belt, there are some that become apparent only when you need to get something done. One of the tremendous strengths of the military is that many of the mundane, yet annoying, aspects of life are taken care of for you. Things like food (which sits waiting for you to start eating at chowhalls on every base) and clothes (with uniforms being issued and a clothing allowance to help defray the cost to replace them) and administration (with clerks waiting to solve any problems you may have with your pay and allowances). These things are taken care of so that warfighters can devote their time and efforts on the mission of preparing for and fighting our nation’s battles and winning our country’s wars. Not so much in the civilian world. Those things get done by one person. Although it may seem obvious that you will need to take care of all of these things (and more) yourself, it is not so simple. What I was not really prepared for was the amount of time that I had to dedicate to taking care of all of those mundane little ankle biting tasks that civilians have been dealing with their whole lives. Where before things like pay problems and meals seemed to take care of themselves I now found myself spending hours at the bank and the grocery store because otherwise my family and I would be broke and hungry. Suddenly there was nobody around to deal with those things but me. Civilians are used to it. They cook their own meals because there are no chowhalls in suburbia. They go shopping and buy their own clothes, which can be quite daunting when you consider that military folks have been wearing the same shoes and combat boots and dress uniforms for decades. When they have a problem with their paychecks or vacation days they get to go deal with it themselves because there is no First Sergeant or Sergeant Major or Chief Petty Officer hanging around the office to deal with such matters. One of the things that comes with hanging up your uniform is freedom. Freedom from people in different uniforms (or no uniforms at all) shooting at you as well as from people in your own uniform yelling at you and waking you up in the middle of the night. With that freedom, however, comes responsibility for yourself in a way that has not been a critical part of your life since you first swore to support and defend the Constitution of the United States of America. Now you have to do all of those little annoying ankle-biting things that everybody else in the civilian world does. And let me tell you, it takes some getting used to because everything takes a lot longer than you think it should and there is nobody there to tell you the right or wrong way to do things. 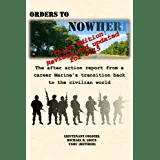 Just like you once learned how to become a successful Soldier, Sailor, Airman, or Marine you must now learn how to become a successful civilian. This time, though, you don’ t have a Drill Instructor “mentoring” you along. You also don’t have a platoon of bald and nervous friends learning the ropes with you. This time you get to figure it all out on your own. But, all things considered, it isn’t bad. It’s just a little surprising. This entry was posted in Military Transition, Retirement, Transition Posts and tagged EAS, Getting Out, Military Transition, Retired, Retirement, Terminal Leave, transition. Bookmark the permalink. It’s true- life is messy out here! I wish him the best of luck…and thanks for reading and posting!